Is there host DNA contamination? Sole plasmid or genome and plasmid? 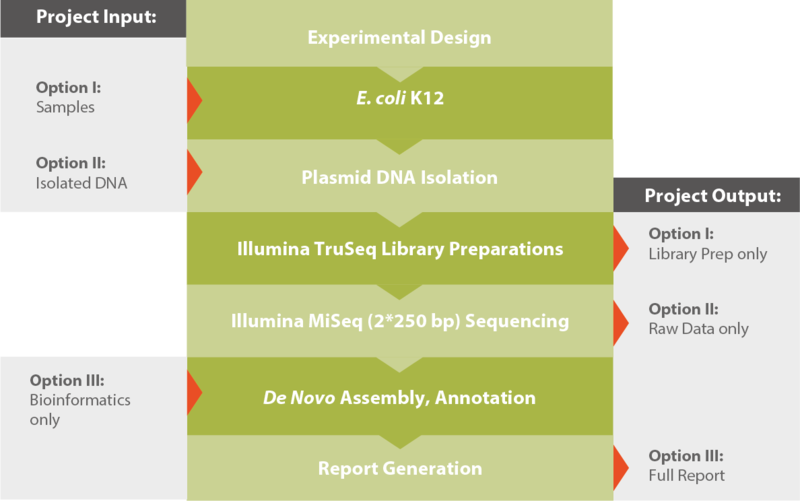 A typical workflow for a plasmid sequencing project is shown in the graphic below. Please note that our highly-modular processes allow you various entry and opting out options. If you outsource your entire NGS project to Microsynth or only parts of it is up to you. For further reading please download our Flyer Plasmid Sequencing by NGS (see related downloads). The assembly of plasmid and other small constructs such as phages allows insights into their genomic structure and the organization of their genetic content. The first step in our assembly module is the removal of DNA sequences related to the host organism since host contaminations strongly interfere with the assembly process. After host removal the reads are assembled using the assembly software that is suited best for the job. Both, de novo approaches and reference guided assemblies are possible. Figure 1: Cumulative length of assembly. Figure 2: GC content distribution for non-overlapping 100 bp windows of the assembled contigs. 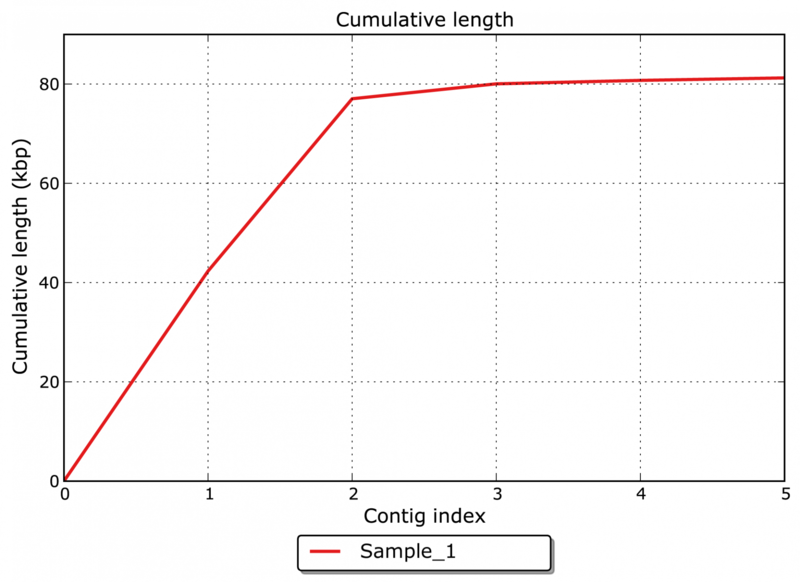 Figure 3: Nx statistics for contig sizes.